After a tense morning of closed door meetings on Capitol Hill, Senate Republicans have released their version of an Obamacare repeal bill in hopes of getting it to the floor next week for a vote. The Better Care Act is seen as a compromise between moderate and conservative factions among GOP senators and keeps a number of Obamacare taxes and subsidies in place. Without any Democrat support, Majority Leader Mitch McConnell can only afford to lose two Republican votes. "This is our opportunity to make a difference. 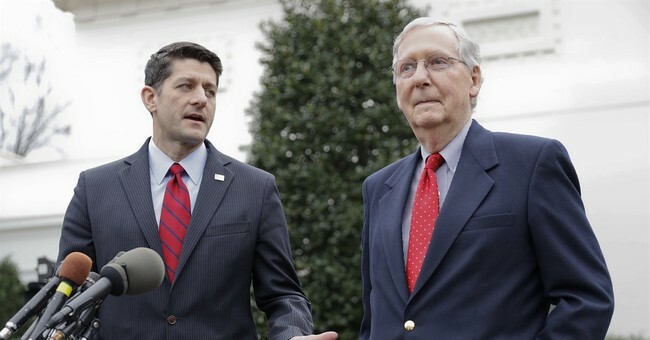 It's time to build a bridge away from Obamcare's failures and toward relief for those who need it," Majority Leader Mitch McConnell said on the Senate Floor Thursday. "It's time to rise to the occasion. The American people deserve better than the pain of Obamacare...the time to deliver that, is next week." McConnell argued the 172-page long legislation improves on the previous Senate bill, which was essentially dead on arrival, and provides stability to the insurance markets. He also highlighted the bill's bolstering of resources to combat the opioid crisis, which is backed up by an increase in spending. Additional spending has also been allocated as a way to reduce premium costs. Health Savings Accounts will be eligible for use toward premium payments. The bill does not include an amendment from Sens. Ted Cruz, R-Texas, and Mike Lee, R-Utah, as originally written, but it includes a provision that’s based on the idea. Under the original proposal, an insurer that offered a plan that met all of Obamacare’s requirements in a state could then offer any additional plans free of the regulations. A new version would set up a fund to help cover those with higher medical costs, but to access the money, an insurer would have to offer at least one compliant plan. At that point, the insurer can offer plans that get around nine of the insurance requirements. The idea is to provide more choices of lower premium plans to healthier individuals with low medical costs who have seen their premiums soar under Obamacare. The waivable requirements include: the requirement to offer all plans to those with pre-existing conditions, the requirement that all plans meet a certain actuarial value, the community rating requirement preventing insurers from pricing plans based on health status, and the mandate that all plans cover a certain set of essential health benefits. Full list here. It’s important to keep in mind that the bill would not waive the requirement that all states have a single risk pool, which means both the compliant plans offered on the Obamacare exchange and the exempted plans being offered off the exchange would be in the same risk pool. Expect the effects of that distinction to be hotly debated among wonks today.